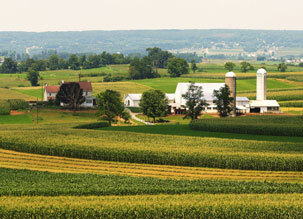 PLN Mutual Insurance offers varying types of insurance for extra protection of homeowners, farms, and renters. Our agents will work closely with you to determine the right insurance plan that best fits your lifestyle and budget. Contact your agent for more details about any of our programs! Our homeowners insurance policy will provide ultimate protection for your home, allowing a peace of mind when it comes to transitioning to owning a home. This policy will cover losses occurring to your home, contents, and other expenses, including liability insurance. Protect your farm with our reliable insurance plans for your service buildings, farm equipment, livestock, grain, leased equipment, equipment breakdown, and other structures. We understand farms come in different sizes and industries; PLN will work with you to determine the appropriate coverage you need for farm insurance and farm liability. 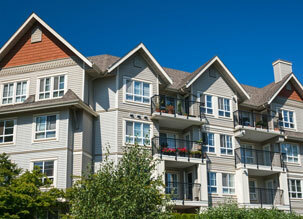 The renters insurance we offer is available to those who live in an apartment or other rental home. This protection plan fulfills replacement costs for personal possessions that are lost, stolen, or destroyed in ways that are out of the renters’ control. Our insurance plans for rental dwellings provides protection against large financial losses to landlords who own and rent out dwellings. PLN Mutual will cover the dwelling, additional structures, and loss of rents.